Like Spiderman, climbing sensation John Bachar moved quickly up the overhanging rock wall, sometimes sustaining his entire body weight with just a couple of fingers. And he did it without ropes. When I caught up with Bachar in 1988 for interview on the dangerous sport called free-soloing, he philosophized about the freedom from cumbersome protective gear. He waxed about feeling at one with nature. It was a rush, other-worldly, like a drug. 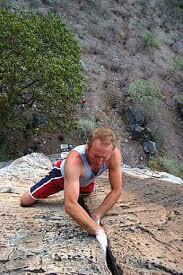 An amateur rock climber myself, I made no plans to try it. Too many times, I had “popped off the rock” — insider lingo for losing your grip — and been saved by the combination of harness, rope, anchor and belay. After years of feeding off the intoxicating sensation of brushing with death, Bachar fell fatally in July of 2009. Many other proponents of this extreme sport have similarly died. 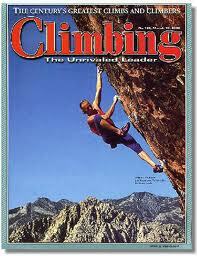 It would appear foolhardy to shun safety while scaling 100- and 1000-foot rock walls only for bragging rights. Others prefer to unencumber themselves of the church, to go it alone in life. It may feel restrictive, but that same restrictiveness is a safety. 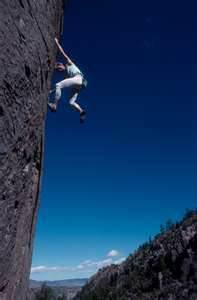 Tagged Belaying, Christian, Christianity, Climbing, community, congregation, Faith, Free solo climbing, God, John Bachar, love of God, Rock climbing, what use church?